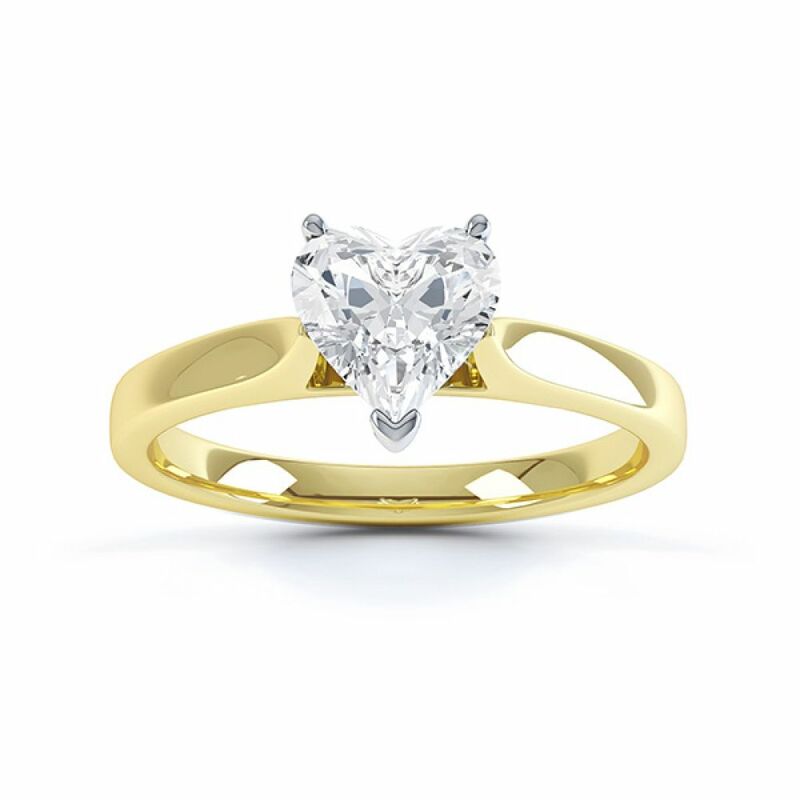 Both modern and captivating, the Angel heart shaped solitaire engagement ring features a beautifully faceted heart shaped diamond set within three exquisitely styled claws. 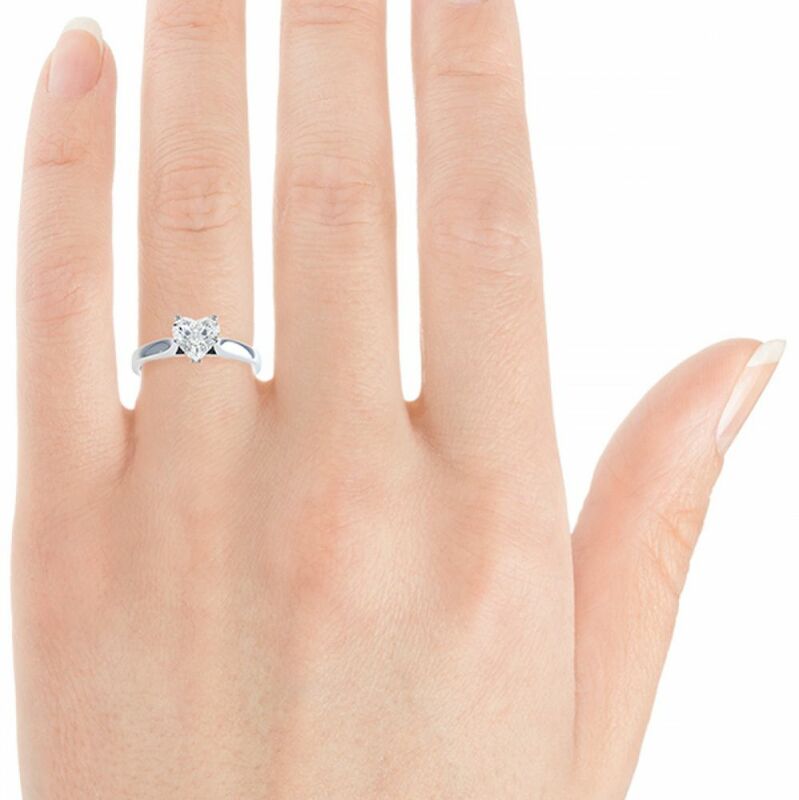 The Angel Heart shaped solitaire Engagement Ring is one of our most romantic ring designs. 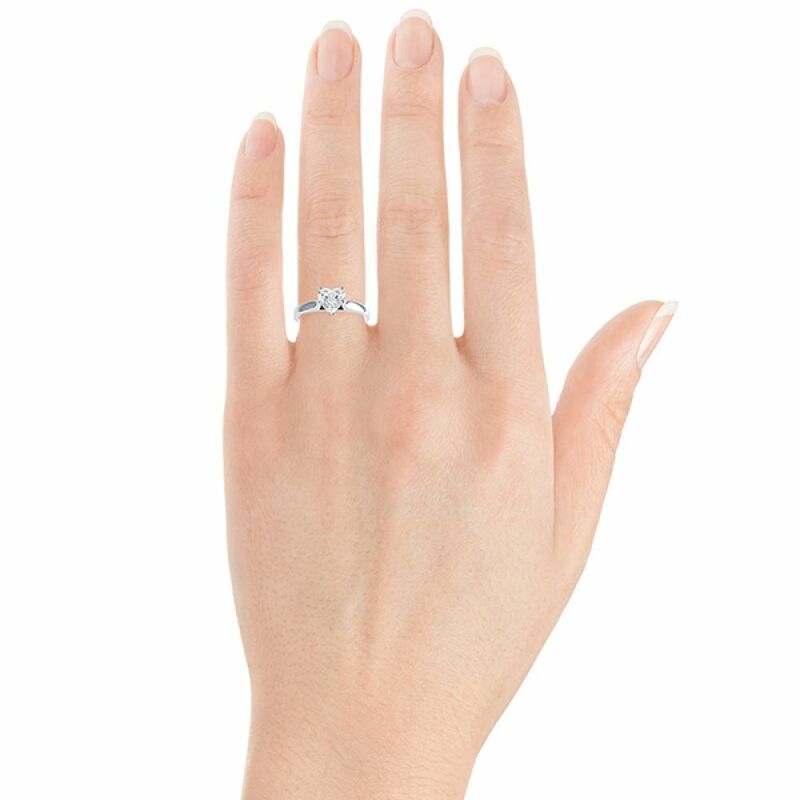 Exquisitely styled, three perfectly formed claws rise from a comfortable 2.5mm court shaped band. Open shoulders narrow towards the setting—rising to embrace the perfectly faceted Heart shaped Diamond. We select the finest and most perfectly cut hearts to reveal both shape and brilliance. Select your preferred Diamond weight, colour and clarity from our menus above. We can create this breathtaking design in a choice of 950 Platinum, 18ct White Gold, 18ct Yellow Gold, 18ct Rose Gold and 18ct Fairtrade Gold. Fairtrade Gold presents the opportunity for 100% traceability whilst benefitting the lives of artisanal gold miners in areas such as Peru, working under the Fairtrade Foundation. 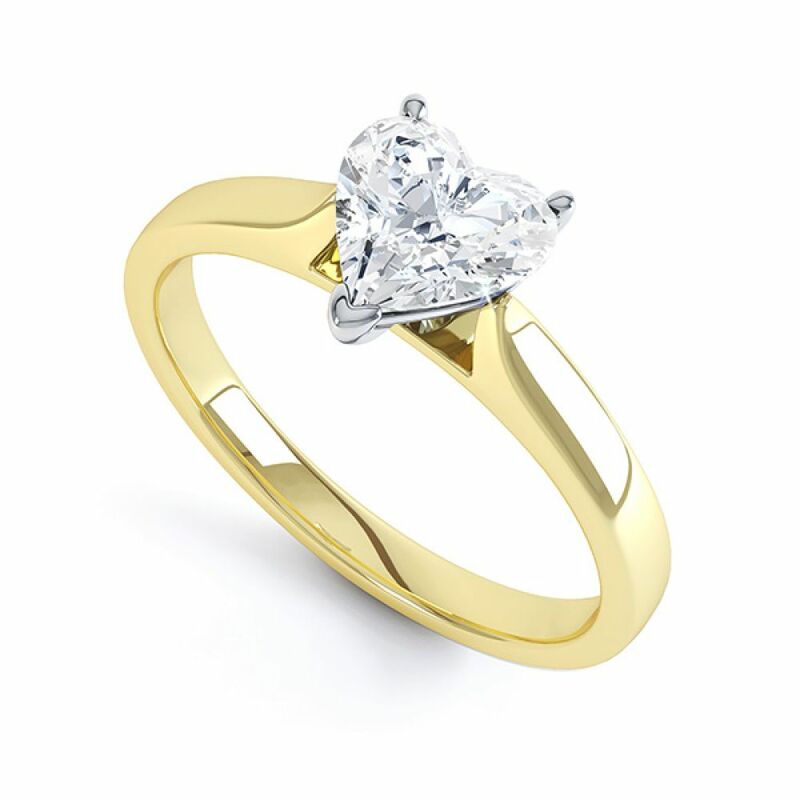 Combined with conflict free Diamonds, you can be assured of an ethical purchase with exceptional value. Please allow approximately 4 weeks for this design to be created. We deliver worldwide and orders can be placed in your local currency above. All deliveries are made under secure plain packaging. Your ring will arrive beautifully packaged with both presentation box and a small pocket box, perfect for a surprise proposal. Angel - R1H031. 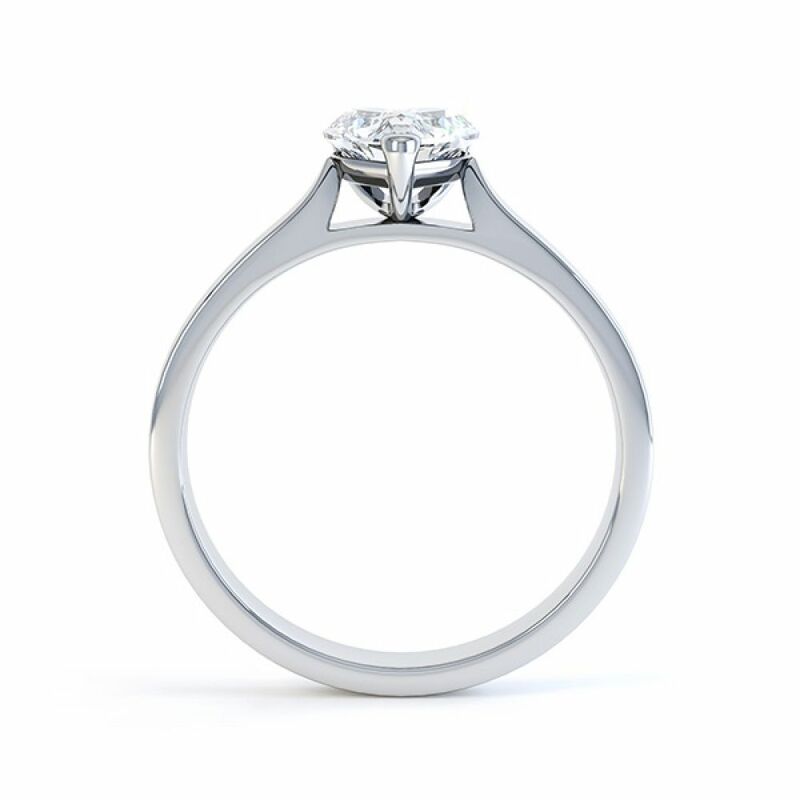 Classic heart shaped solitaire diamond engagement ring created in 950 palladium and matching wedding band with flush set diamonds. Service rating : A first class service at all times,nothing was too much trouble,would recommend to family & friends! Product: Over the moon with my rings,excellent quality for money! Service rating : The customer service was fantastic, helpfull and I would recomend to anyone. 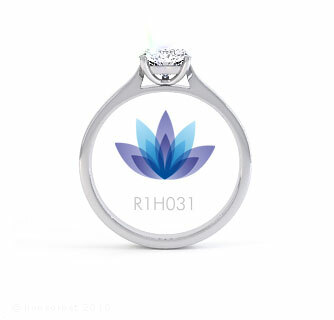 Product : I am very please with the ring and all the packaging, I just hope my girlfriend (soon to be wife, hopefully!!!) is too, lol !